The Smithsonian’s National Air and Space Museum holds the world’s largest collection of historically important aeronautical artifacts and conducts research in aviation and space history, technology and planetary science. There are two locations open to the public: the original building on the National Mall in Washington, D.C., which opened July 1, 1976, and the Steven F. Udvar-Hazy Center, which opened Dec. 15, 2003, and is located 30 miles from Washington in Chantilly, Va. 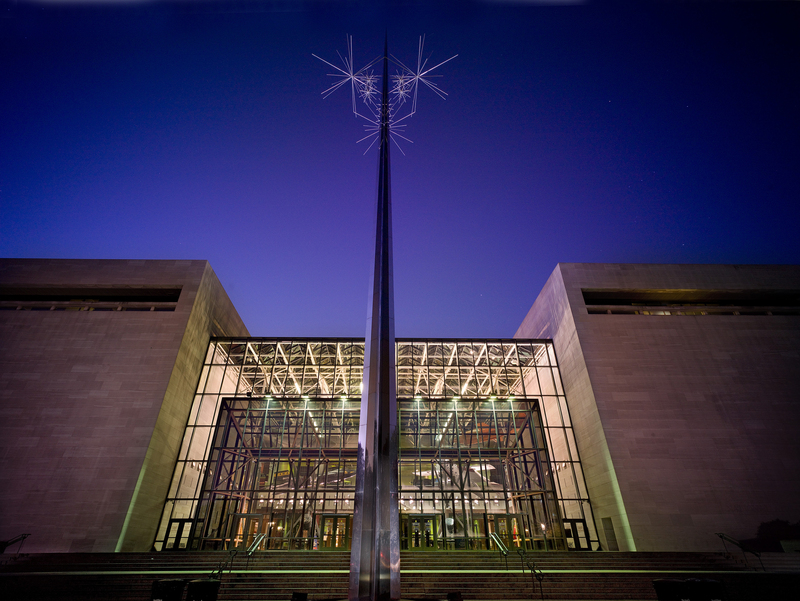 Since its opening in conjunction with the nation’s Bicentennial in 1976, the museum has drawn 7–9 million visitors a year, attendance totals that have earned it the distinction of being the most visited museum in America and among the top three or four in the world. The Washington building has welcomed more than 326 million people since 1976; with both buildings combined, the total exceeds 342 million. Within the flagship building, there are 19 individual exhibition galleries devoted to various aeronautical and space themes and three large halls: “America by Air,” the “Boeing Milestones of Flight Hall” and “Space Race.” Of the major artifacts on display, there are approximately 60 aircraft, including the Wright Flyer and “Spirit of St. Louis” and 50 major space artifacts, including John Glenn’s Mercury “Friendship 7” capsule, the Apollo 11 command module and a moon rock that visitors can touch. There are some 2,800 smaller items on display. The building also houses the Lockheed-Martin IMAX Theater, the Albert Einstein Planetarium, stores and a food court. It spans three blocks in length, with exhibitions on two floors. In conjunction with the museum’s 40th anniversary, the “Boeing Milestones of Flight Hall” will reopen to the public following an extensive renovation. The 19,000-square-foot, two-story, glass-walled hall was reimagined to house a larger selection of artifacts chosen because, together, they trace broad cultural, historic and technological themes. GO FLIGHT, a digital program consisting of a 16-by-12-foot touchscreen wall, app and website, was introduced with the new installation. The exhibition’s approach—integrating artifacts and digital technology—is intended to be a model for future exhibitions. In 2018, extensive exterior and interior revitalization of the building is expected to begin, providing an opportunity to update or replace galleries during the multiyear process. The Udvar-Hazy Center is a sprawling structure, approximately five blocks in length, made up of hangar-like exhibition halls and the Donald D. Engen Observation Tower, education areas, the Airbus IMAX theater, a restaurant and store. There are about 300 aircraft and spacecraft on display and 2,900 smaller objects. The Boeing Aviation Hangar and the James S. McDonnell Space Hangar house objects in a “displayed storage” fashion, with artifacts such as a Lockheed SR-71 Blackbird, a Concorde, the Boeing B-29 Enola Gay and the space shuttle Discovery on view along with many other thematically grouped vehicles, instruments, memorabilia and equipment. The collection wing of the building, completed in 2012, includes the Mary Baker Engen Restoration Hangar, which is on view to the public, as well as the Emil Buehler Conservation Lab, collections processing and storage facilities, and the museum’s Archives. All told, the museum’s collection consists of some 67,000 artifacts that range in size from Saturn V rockets to jetliners to gliders to space helmets to microchips. The museum manages a loan program that enables other museums to borrow its aeronautical treasures. Several individual collections, such as spacesuits and the museum’s large art collection are stored in dedicated areas at the Udvar-Hazy Center. Larger objects are stored in buildings at the Paul E. Garber Facility in Suitland, Md. 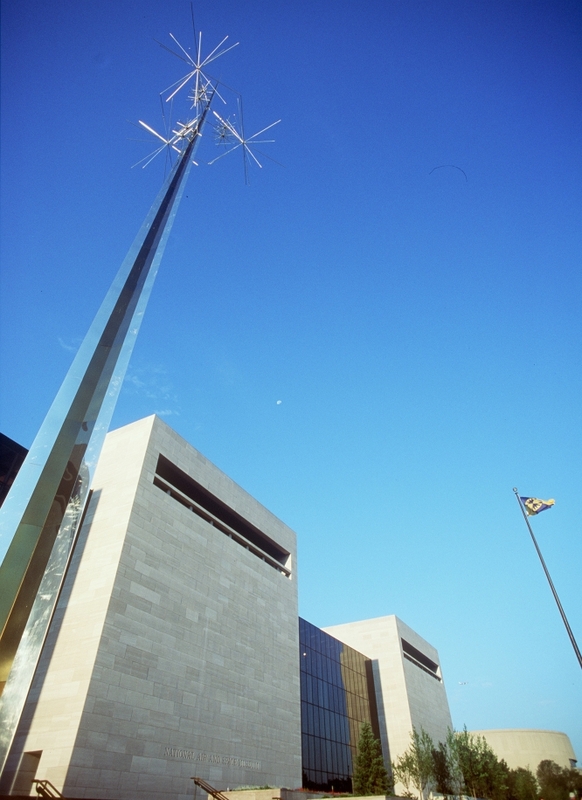 The National Air and Space Museum is a vital center for aeronautical and space research. Curators in the Aeronautics Department study the history of aeronautical technology within political, economic and social contexts and are also responsible for collecting and interpreting aircraft and related objects. Likewise, curators in the Space History Department preserve, study and communicate the history of rocketry and space exploration within U.S. and world history and are responsible for collecting and interpreting spacecraft and space artifacts. The Center for Earth and Planetary Studies (CEPS) is the museum’s science division. Its staff members conduct research in planetary and terrestrial geology and geophysics using data from manned and unmanned space missions. CEPS scientists are involved in missions on Mercury, Venus, the moon, Mars, asteroids and field studies in analog regions on Earth. The museum’s department of Collections and Research is responsible for several units: Preservation/Restoration, Conservation and Collections Processing. The Archives Department oversees the museum’s documents, film and photographic collections in its 16,000 square feet of modern, secure, climate-controlled storage space. The museum’s Education Department oversees activities for families and students, reaching 1 million individuals a year through onsite program efforts. Through its distance-learning activities and digital-engagement programs, the museum reaches millions of people in classrooms, homes and through mobile platforms. The National Air and Space Museum is staffed by 260 employees and supported by some 900 docents and volunteers. The National Air and Space Museum’s flagship building as seen from the National Mall in Washington, DC.